Handmade Rugs, also known as Oriental Rugs, are in huge fashion and demand now days. These rugs are for famous for their mystique and enigmatic appeal. The history of Handmade Rugs has roots in 5th Century in Central Asian countries like Iran, India and Turkey, where nomadic roamers used their hand-woven rugs for multi-utility as wall decoration; tent cover; floor cover, furniture cover. They used to produce these rugs on hand-looms which were portable. These areas influenced the visitors and on their return back home, these visitors talked about the beauty and utility of these rugs and carpets, thereby making them famous by word of mouth. 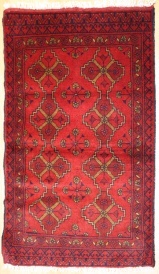 Handmade Rugs are the instances of uniqueness and beauty associated in each design, showing the great influence of arts when woven with use of natural colours and fibre. The numbers of attributes associated with handmade rug makes them unique from each design so that every new pattern reflects a special feeling. Some most famous Handmade Rugs are the Oriental Rug, Afghan Rugs, Kilim Rugs, Turkish Rugs, Ardabil Rugs, Bokhara Rugs, Chinese Rugs, Contempo Rugs, Esfahan Rugs, Gabbeh Rugs, Ghashghai Rugs, Ghotan Rugs, Hamadan Rugs, Heriz Rugs, India Rugs, Indus Rugs, Jozan Rugs, Karabagh Rugs, Kashmar Rugs, Kashkuli Rugs, Lahore Rugs, Luri Rugs, Mahal Rugs, Mahi Rugs, Mashad Rugs, Moroccan Rugs, Mughal Rugs, Pakistani Rugs, Saber Rugs, Sirjan Rugs, Sino Rugs, Tehran Rugs, Yazd Rugs, Zanjan Rugs etc. Retailers of Handmade Rugs are quite stringent regarding the quality of rugs that they sell. They buy only after thorough verification process such as the authenticity of the place from where the rugs have been manufactured and shipped. The next parameter on which they analyze the rug is the weaver behind it. They ensure the rugs they acquire are made by master weavers, who are renowned for their craft. They check on the material used such as wool, cotton or whatever the material may be, to ensure a thorough finding of it. The age and thickness of handmade rugs are the two final factors they are intrigued about. Antique Rugs that are more than 50 years old are said to be past their prime. They make it a point to find this out and ensure the age has not crossed 50. Those rugs are considered to be the best in quality which are thin in width. So perhaps when you scout through the pieces they sell, most of which you see will be this. At the Rug Store we are pleased to provide extensive range of handmade rugs with innumerable designs and colors, shapes and sizes, that you will leave you mesmerised. We import these from far away and distant lands, buyers within London are equally enthusiastic about decorating their homes with these accessories. The quality of the handmade Carpets which we offer are thoroughly examined on all the parameters of authenticity, as it is our promise of genuine service to our esteemed customers.